Even though camping has never been our thing, we had been thinking about renting a motorhome for a long time. The idea of having our own home on wheels and being able to stop anywhere felt romantic and adventurous at the same time. The only thing that kept stopping us was the high price. On our last trip to New Zealand, we decided to finally give it a try. 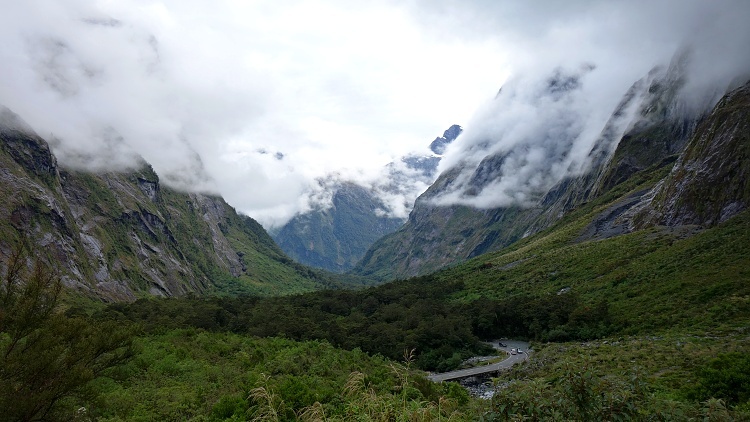 New Zealand is the place to go for lovers of outdoor activities and there are many motorhomes on the roads. But motorhome rentals were expensive (around 3,000 New Zealand Dollars/2,000 Euro/2,088 US Dollars per week), and paying the full price wasn’t an option for us. We were on a two-month road trip down under and our budget was limited. Then we found relocations. 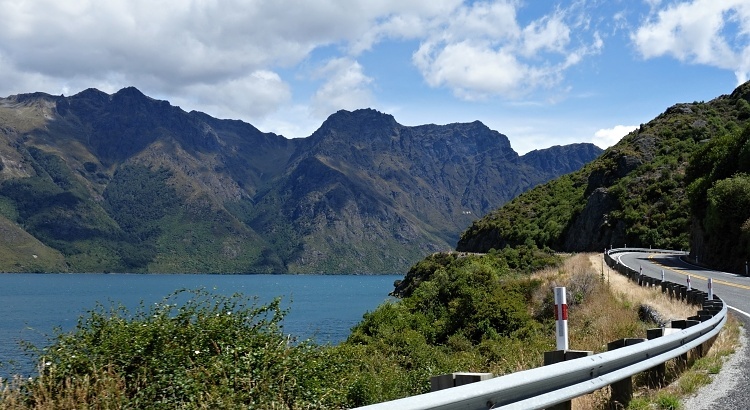 In this post, we are talking about our experience with motorhome relocation in New Zealand but similar systems apply to various types of vehicles (cars, campervans, etc.) in many countries (especially in Australia, the USA, Canada and Europe). Rental companies need to move their vehicles to different locations and get them ready for other customers. If you relocate the vehicle for them, you will save them money and time. That is why they will let you use the vehicle free of charge or for a small fee. The downside is that you need to get the vehicle to the final location in a short amount of time. This depends on the distance and it is usually just a few days. Rental companies want to turn around the vehicles as quickly as possible to get them ready for the next paying customers. However, you might be allowed to purchase a few extra days to extend your rental. The only major cost you usually have to cover is the insurance. We strongly recommend getting the full cover, especially if you haven’t driven such a big vehicle before. Relocation is perfect for those who would like to try travelling in a motorhome to see if they like it or not while keeping the costs very low. Be aware that even if you are renting a self-contained motorhome you can’t stay overnight anywhere you want but only at dedicated camping sites (free or paid). The site maps and addresses are available online and there are also many useful apps for iPhone and Android. Relocations are available for various types of vehicles. Campervans are vans with two to three berths and basic facilities for cooking, sleeping and washing. The term ‘RV’ (a recreational vehicle), which is used mainly in North America, can refer to either campervans or motorhomes. A bigger vehicle means more space but also higher petrol consumption and more challenging driving and parking. Relocations are very common in New Zealand and many rental companies offer this service on both islands. The biggest providers are Jucy, Maui, Britz and Apollo. A car, campervan or motorhome? Are you flexible time or location wise? What is your budget? Are you ok to pay for any extras (additional rental days, full insurance, etc.)? Which pick up and drop off locations are convenient for you? Most vehicles in New Zealand are collected on the North Island and returned on the South Island. That is why it’s easier to find relocation deals starting on the South Island because rental companies need to get the vehicles back to the North Island. Cities with an airport (for example, Christchurch) are the best bet because people usually drop off the vehicles before their flight. We decided to go for a motorhome because we had never driven such a big vehicle before and we were curious about what it was like. We were looking for a four or six-berth motorhome for six or seven days so that we could travel around New Zealand during the relocation. There is a good selection of cars, campervans and motorhomes on all these websites. 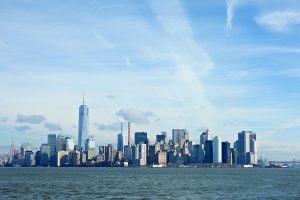 They also offer relocations in other countries so check them out if you are planning to travel to Australia, Europe, Canada or the USA. These are not the actual rental companies, these are middlemen between the rental companies and customers. The deals are posted on a daily basis so it is a good idea to get a local sim card if you are on the move and don’t want to miss any offers. We used a sim card from Skinny and got their monthly Big Value Combo. They offer a weekly combo as well. Your chances of getting a good deal are the highest if you are flexible with your dates and location. We started looking for a motorhome about 14 days before the pick up date. The relocation deals are usually published from 21 days before the collection date. But you can still find many great offers at the last minute. In the end, we booked our relocation deal three days before collecting the motorhome. We got our first relocation deal with Transfercar. We relocated a four-berth motorhome from Christchurch (South Island) to Auckland (North Island). The booking process was straight-forward. After registration and confirmation of the email address, we were able to request the deal that suited us the best. It is possible to send up to three requests at the same time. If one of the requests gets confirmed, the others will be cancelled automatically, so make sure you are happy with all your requests because you never know which one gets confirmed first. Our booking was confirmed within 12 hours but it can take up to 24 hours to get a response. After the 24-hour period, your request will expire automatically so you will need to send another one. You should receive an email confirming that your request had expired. Your preferred vehicle might still be available so don’t give up and send another request. Our request had expired over the weekend so we sent another email, which was successful. 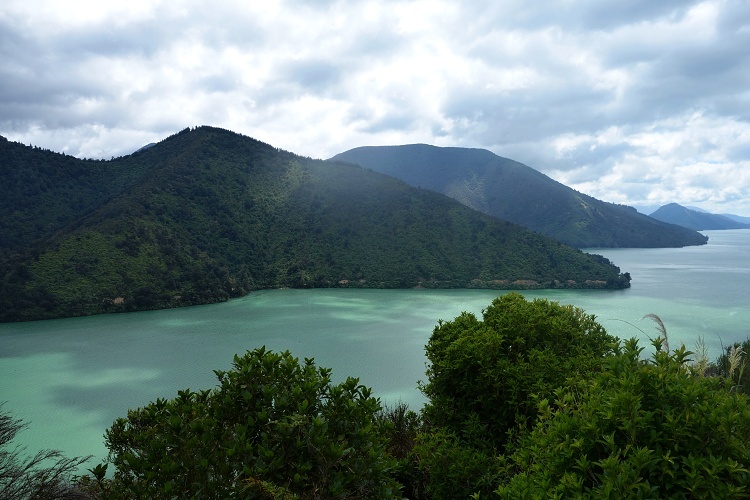 We accepted the offer that included a four-day motorhome rental with Jucy (four-berth Jucy Casa), unlimited mileage, basic insurance (Risk Taker with a 5,000 NZD excess) and ferry tickets between Picton and Wellington for the motorhome and driver – all for free. 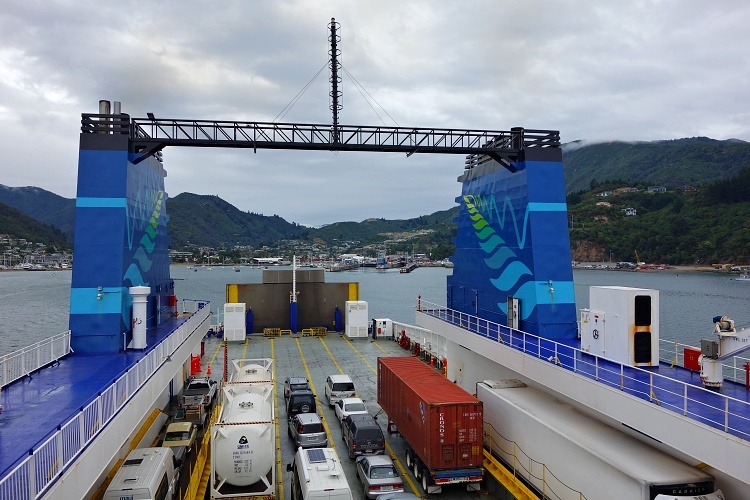 The only cost that we had to pay was the ferry ticket for the second passenger (65 NZD). Jucy was offering up to two extra days of rental for a fee, so we added these two days to our contract. This way we could have the motorhome for six days and explore New Zealand further, rather than just get from point A to point B. After the booking had been confirmed by Transfercar, we received an email confirmation from the rental company Jucy. They required us to call them within two days to re-confirm the booking or make any changes. 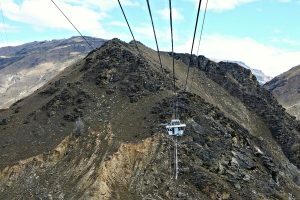 They charged a deposit of around 100 NZD to our credit card. This covered the extra charges we had chosen (additional days, the ferry ticket for the second passenger, etc.) We paid the balance when collecting the motorhome. We recommend opting for the additional insurance to reduce the excess (bond) to zero. Our excess was 5,000 NZD so we decided to purchase the full cover because we were renting a motorhome for the first time and didn’t know what to expect. We went for the Jucy Stress Free Plus option that included an extra driver, mandatory road user charge for diesel vehicles, LPG refill, picnic chairs and GPS, so overall it was good value. 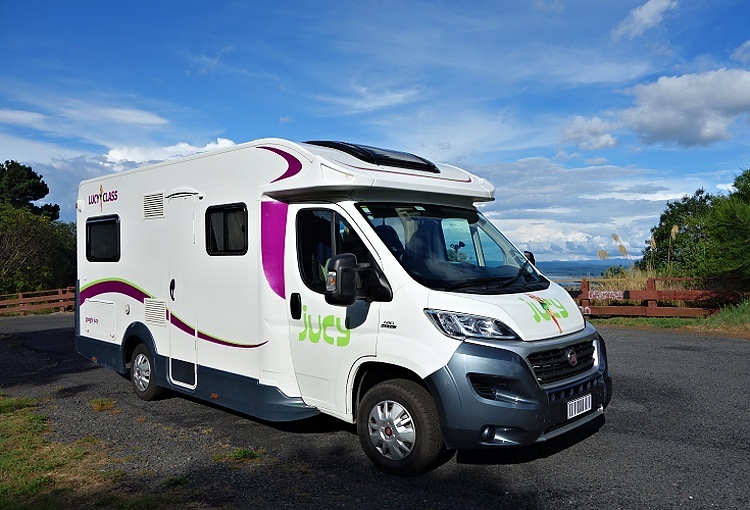 The current price of a six-day rental of a four-berth motorhome Jucy Casa including Stress Free Plus insurance is about 3,000 NZD (2,035 EUR/2,166 USD). We got our motorhome, including all the extras, for a fraction of the usual cost. If you keep the motorhome just for the number of days offered by the rental company, don’t purchase any extra days, full insurance or other extras and stay in ‘freedom’ camping sites – you will have it all for free. The only costs will be the fuel, ferry tickets for other passengers (if using ferry) and campsite fees (if you decide to stay in holiday parks where you need to pay for using the sites). If you are travelling by ferry you will have to book the ferry tickets through the rental company, who charged us the same price as online. When collecting the motorhome, make sure that you understand how everything works before you leave, especially if you don’t have any previous experience with this type of vehicle. We are currently working on another post about renting a motorhome for first-timers so we will talk about the technical stuff in detail there. Make sure that you have a contact telephone number handy so that you have someone to call in case you have any technical difficulties. 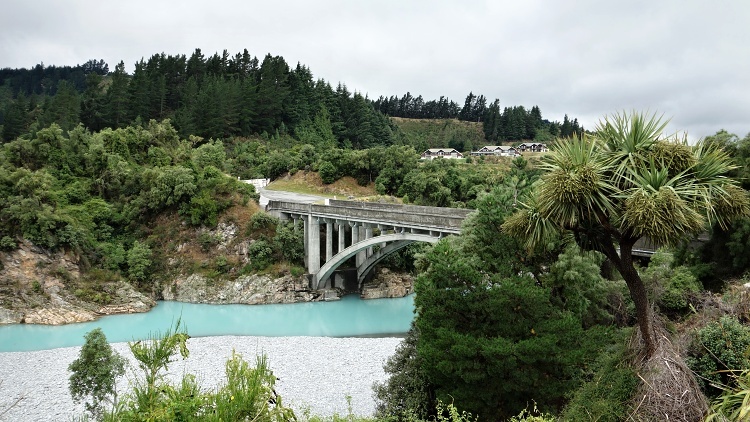 We had a few technical issues with our motorhome on the road and we received a refund of 200 NZD after our trip was finished as compensation because we had to stay in serviced (and paid) campsites. Our best piece of advice is that duck tape is a must. It is possible to rent a motorhome for free if you stick with the rental company’s deal and do not purchase any extras. 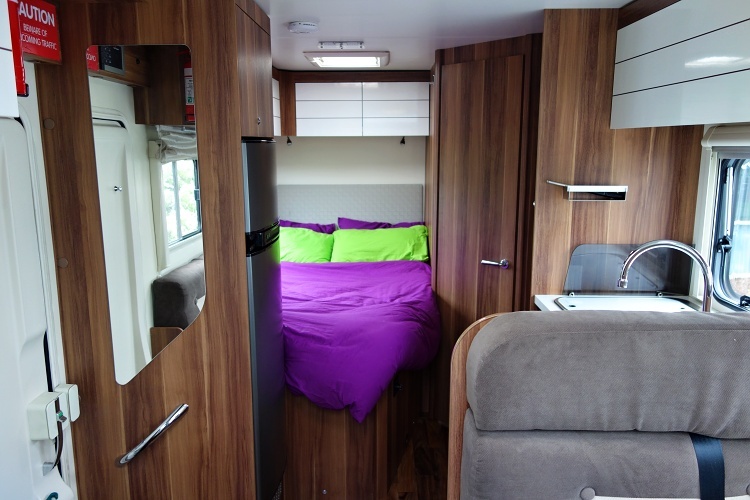 As this was our first motorhome rental we chose the full insurance for peace of mind. We also decided to buy some extra days to have more time to explore New Zealand. Relocation is not for everyone but it is great if you want to try it for the first time and see what it’s like. 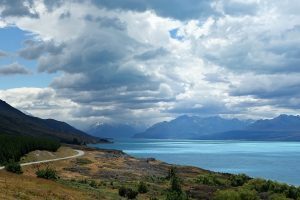 Driving a motorhome might be challenging because of the size of the vehicle, but New Zealand is a perfect place to give it a try because the roads outside of cities are not busy. If your trip is longer than a few days, you can always rent a car for most of your holiday and relocate a motorhome for the last few days. That’s what we did. We arrived in the South Island of New Zealand first. We rented a cheap car at Christchurch airport for two weeks. After exploring the South Island we dropped off the car at Christchurch airport and collected the motorhome at the same time. 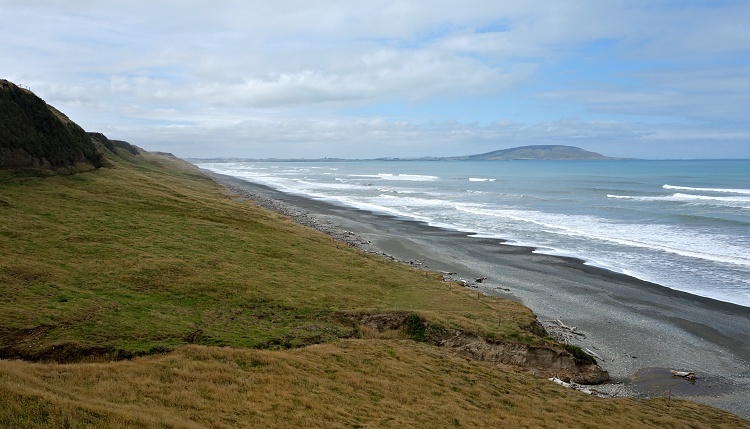 We drove straight up to the North Island and explored it with our motorhome before dropping it off in Auckland. Travelling with a motorhome is a great experience and if it sounds tempting to you, go for it. Thanks to relocations you can have a great time at very low costs. What is your experience with motorhomes? Have you tried it yet? Let us know if you have any questions!